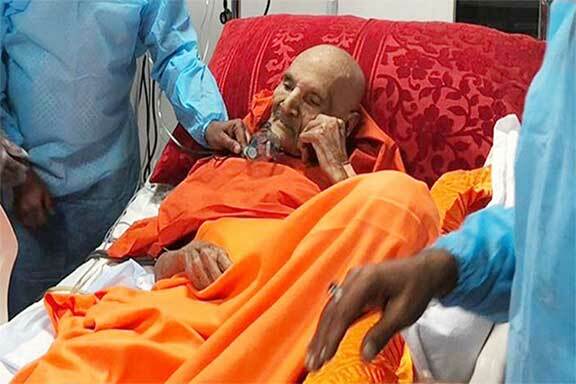 Tumkuru : Karnataka CM HD Kumaraswamy declared holiday for schools and colleges today and tomorrow on the passing away of Shivakumara Swamiji of Tumkuru Siddaganga Mutt. Three-day mourning announced in the state of Karnataka. Final rites of Siddaganga Seer will be conducted with full state honours tomorrow at 4.30 PM. The 111-year-old seer had undergone liver bypass surgery at Rela Institute in Chennai on December 8. Kittur Chennamma University has postponed exams to January 28 after the government declared the holiday.